Magento Products Ajax Search Suggestions is an extension which will help your website visitors to find what they are looking for in easy and fast way. When user types any letter to the search box, this extension instantly looks for the match results of beginning letter and call out suggested search products. 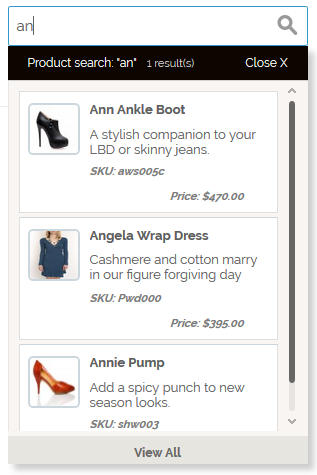 It automatically suggests and shows the pop-up with found products.You will have full control over this extension look and behavior according to your website theme. It will remove default search popup of magento accordingly. Good thing is that when you search any keyword it will save your search results in local storage of browser and when you again search that keyword it will show you results from local storage instead of search again for new results for same keyword, local storage keywords clears once you refresh website page on your browser. It is also 100% responsive. 1 . Upload file manually – Extract it and then extract “Custom_Ajaxsearch-1.0.0.tgz” and then copy all files app folder and then paste into your magento root directory. 2. Second way is from admin panel – Go to admin panel – System -> Configuration -> Magento Connect -> Magento Connect Manager and uncheck “Put store on the maintenance mode while installing/upgrading/backup creation” option and browse file and upload it. 4. Now follow provide documentation or goto admin panel “System -> Configuration -> Products Ajax Search” for configurations if you want and check by typing on on website’s search box, you will see product’s suggested popup. It may be due to you used custom/third party frontend theme in your website, to solve this, please copy ajaxsearch.xml.xml from “app/design/frontend/base/default/layout” to your theme layout folder “app/design/frontend/yourpackage/yourtheme/layout” and ajaxsearch folder from “app/design/frontend/base/default/template” to your theme template folder “app/design/frontend/yourpackage/yourtheme/template”. You will see search popup when you type in your website’s search box. Default view will look like below image but you can change color and font sizes according to your theme.